I thought I would share with you today one of my funnier Photo Friday posts. 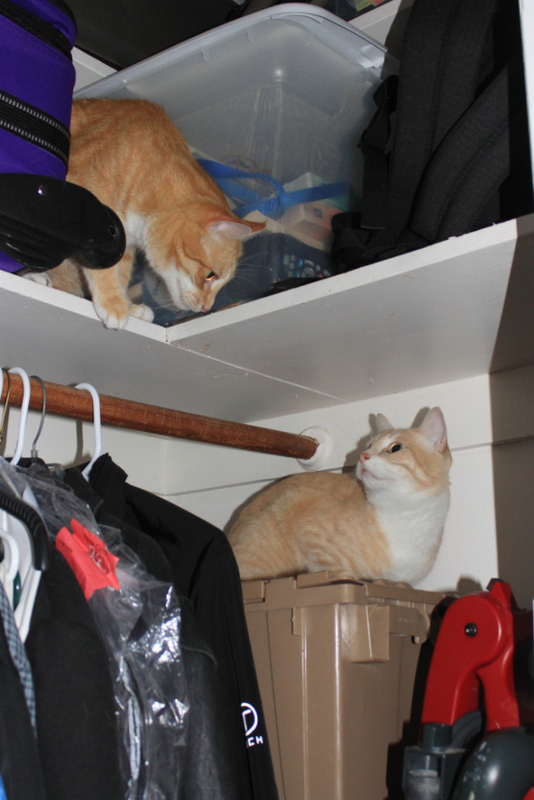 I cannot open the laundry room door or any closet door without one or more cats wanting to go inside to perform a thorough investigation. 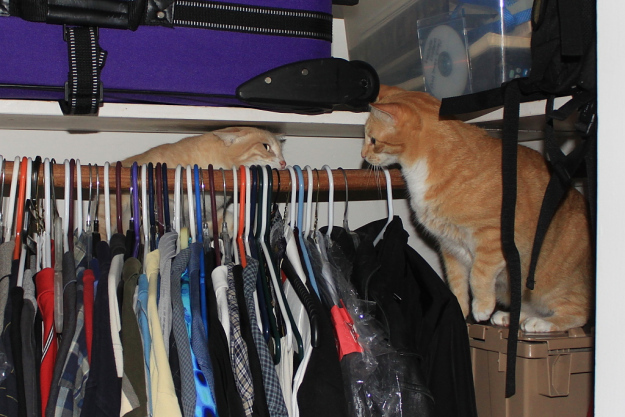 Recently both Chris and Frankie were investigating a closet but I have yet to get their full report. This is my investigation Chris! 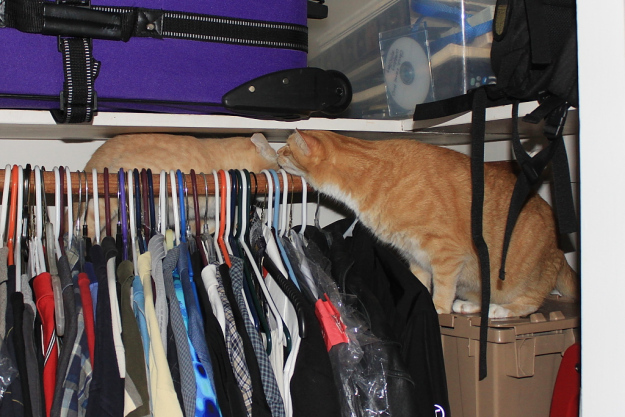 Find your own closet. Calm down Frankie. I just want to smell your face. 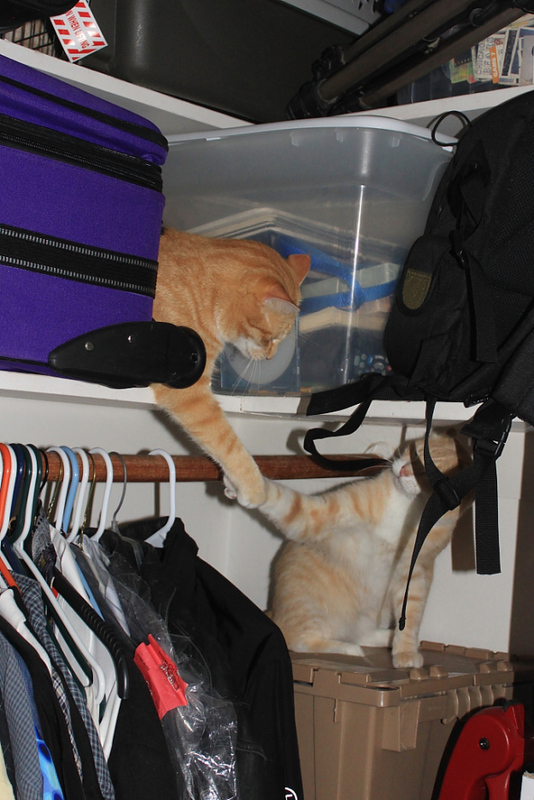 Let’s call a temporary truce… Okay, agreed. Look Frankie! This is where I buried your predecessor. Ha, ha, ha… Just kidding. I think there might be a secret stash of mice in here. If I only had opposable thumbs. Okay Frankie, I’m bored. What do you want to investigate now? 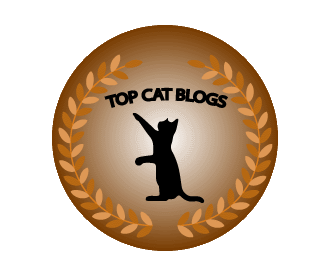 This entry was posted in Uncategorized on February 22, 2017 by Charles Huss. Frankie Holmes and Chris Watson HARD at work! They are hot on the trail of something. They look like they had lots of fun exploring! 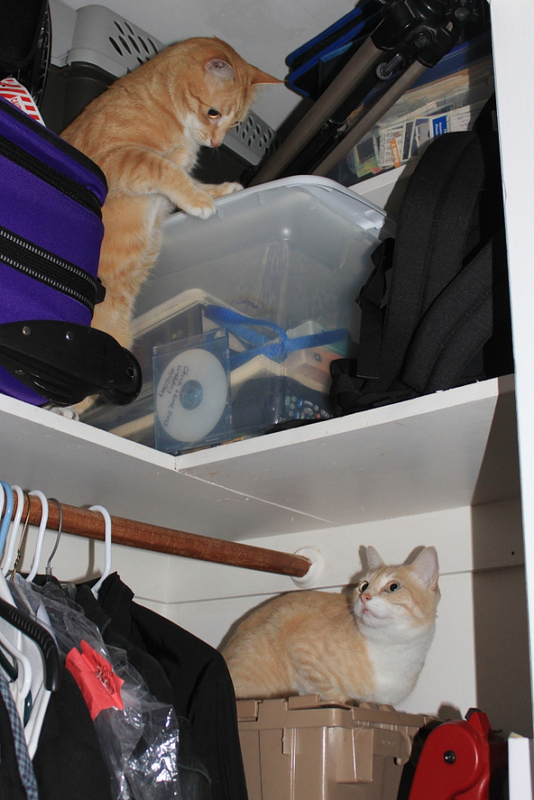 Cats like to investigate high places. 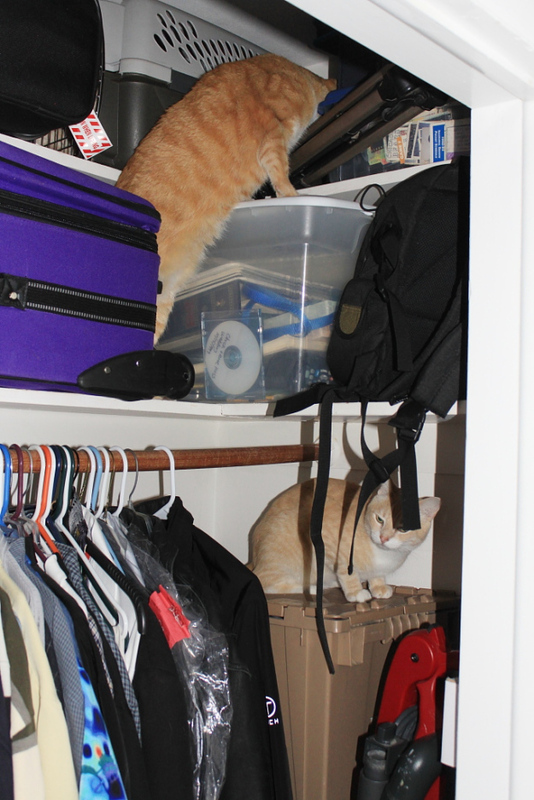 We like to hide in the closet. I love the temporary truce photo- too cute.